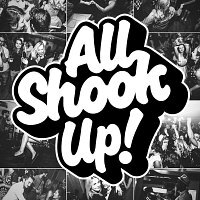 "All Shook Up is more than a club night... Together we are what is fast becoming a strong community of people who share the same love for music from the decades that brought us individualism, teenage rebellion and modernism but most importantly... ROCK N' ROLL AND SOUL!!! Expect a mix of 1950s and '60s Rock n Roll, Soul, Motown, Rhythm n Blues, Sixties Beat, Doo-Wop, Jump Blues, Rockabilly & More!"